Overview: These are very smooth moving Peerless handcuffs. They are the model 700, but the longer chain version that has 6 extra chain links (Model 700-6x) (8 chain links total) which are designed to offer more comfort for larger individuals who are handcuffed behind their back. These feature backloading capability, as shown in the video this offers quick and easy application on the wrists. These are Nickel plated, they look great, they feel great. Tolerances are acceptable on the single strand (rotating arm), they don't move laterally outside the pawl channel, however it would be nice if the tolerances there were a bit tighter. The key-way has nice tolerances making picking more difficult. As for pawl security, they only have 1 pawl bar, meaning if you do not double lock them, someone might be able to shim them easily, with any thin piece of metal such as a thin pin. On some of my other cuffs they have multiple pawl bars, meaning a thin pin may trip 1 single pawl bar but not all at the same time. That being said, the key-way is tight and is positioned as such that extra work would be likely needed in order to pick the lock. 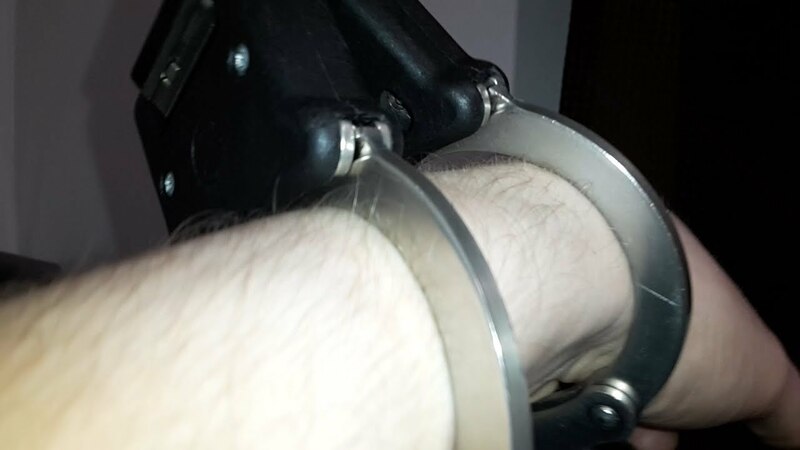 As a side note, I always coat the exterior of my handcuffs in Renaissance wax, as it provides an even nicer feel to them and offers extra protection from rusting, tarnishing, damage from skin oils etc. Plus it gives them a slight extra visual sheen which I find quite pleasing after they get rubbed down with a micro-fibre cloth.